Last week, I promised that this week would feature a Sherlock Holmes tie-in. Unfortunately, the intended film, Sherlock, Jr. (1924) starring Buster Keaton, turned out to be of much poorer technical quality than I remembered, so I have decided to give it a pass. Instead, I will recommend a film that I discovered recently quite by accident. 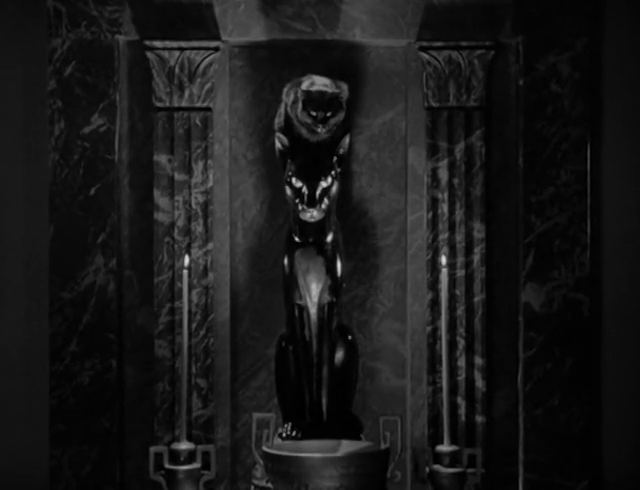 I was looking for the film The Black Cat from 1934, but by mistake I downloaded The Black Cat from 1941 instead. An easy mistake to make, considering that Bela Lugosi acts in both films. That mistaken download turned out to be a stroke of luck, since the 1941 film is really nice. It is also an example of a pretty unusual genre crossing, being perhaps best classified as a mansion mystery horror comedy. Finding the right pictures to go with these blog reviews can sometimes be a lot of trouble. In this case, the problem is the opposite one: How can one choose between so many good options? Each scene is so well composed that there is almost always a frame that can be used for a good illustration. These exquisite compositions contribute to the many good qualities of the film. Nominally, the protagonists of this tale are Gilmore Smith (Broderick Crawford), a real estate broker who tries to solve the mystery of a murdered old lady, and his comic relief Mr. Penny (Hugh Herbert). But the real stars are Basil Rathbone and Bela Lugosi. Now, I cannot say that either of them makes his best on-screen performance. Rathbone, in fact, looks distinctly uncomfortable and appears to not want to be in this picture at all. He may have already got stuck in the Sherlock Holmes typecasting and perhaps thought he deserved better than this. (In a sense, he did.) 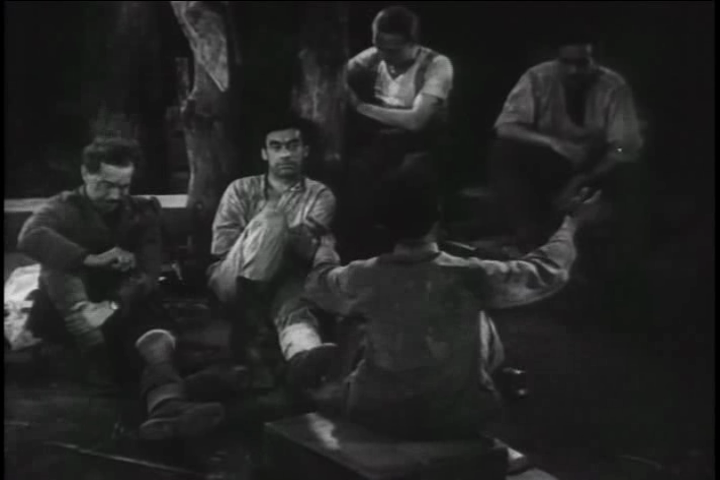 Bela Lugosi, on the other hand, is excellent as the Hispanic gardener, but he is given far too little screen time. This film is best enjoyed when you need some light entertainment and do not want to think too much. The mystery story is pretty thin and will not stand for any deeper analysis, and it must be admitted that some of the humour has not really stood the test of time. But the dark mood, the attention to detail in the imaging, and the many crazy characters (several of them really well played) combine to make this film well worth a watch. Later this week, this blog turns four years. With this week’s post, I therefore take you back to where it all began: Basil Rathbone as Sherlock Holmes in 1946. That first film I wrote about was Terror by Night, arguably the best of the many Sherlock Holmes films available at the Internet Archive. Later that same year, Rathbone along with Nigel Bruce were to make their last screen appearances as the famous detective and his sidekick. While not quite as good as the earlier film, Dressed to Kill is not a bad pick if you like old-school mysteries. Dressed to Kill begins with two preludes. First is a scene from a prison, then one from an auction hall. Both involve music boxes, and this is of course no coincidence. Later, we find ourselves on home turf, as far as Holmes mysteries go. 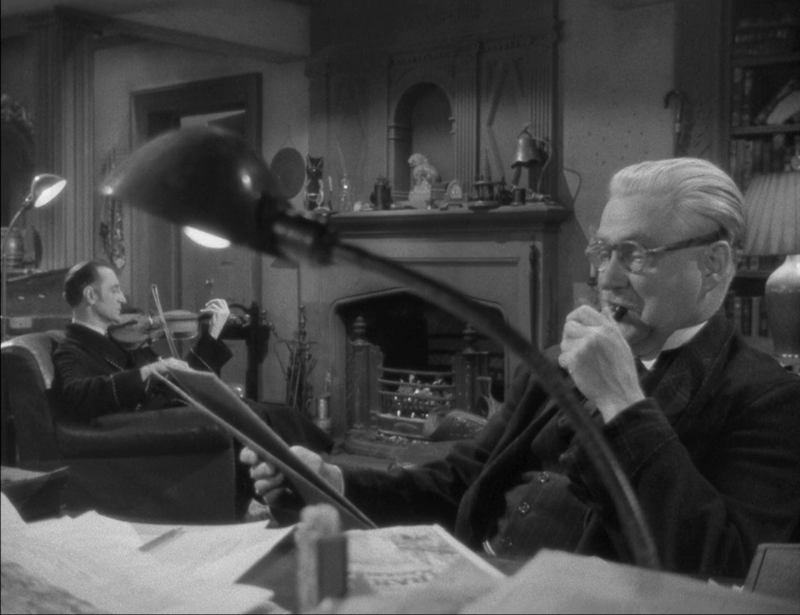 Holmes and Watson sit in the 221 B Baker Street apartment, the one playing the violin, the other musing over some old cases that have recently seen print. Watson’s old pal “Stinky” calls for a visit, and of course he brings a somewhat intriguing mystery. A mystery with a music box. Well, who would have imagined? In an attack of lacking imagination, the producer and writer here re-used the plot of the Arthur Conan Doyle story “The Adventure of the Six Napoleons”, which had already been filmed with Rathbone two years earlier as The Pearl of Death. But there is a twist. The music boxes that are featured in place of the original’s Napoleon busts are not exactly identical; the music they play has slight variations, and in those variations is a code. A code that only Sherlock Holmes can crack. We are also treated with a number of memorable crooks, including a femme fatale well played by Patricia Morison. With this film, I consider myself to have mined the Internet Archive for worthwhile Sherlock Holmes films, except for one little bonus feature that I saved for next week. 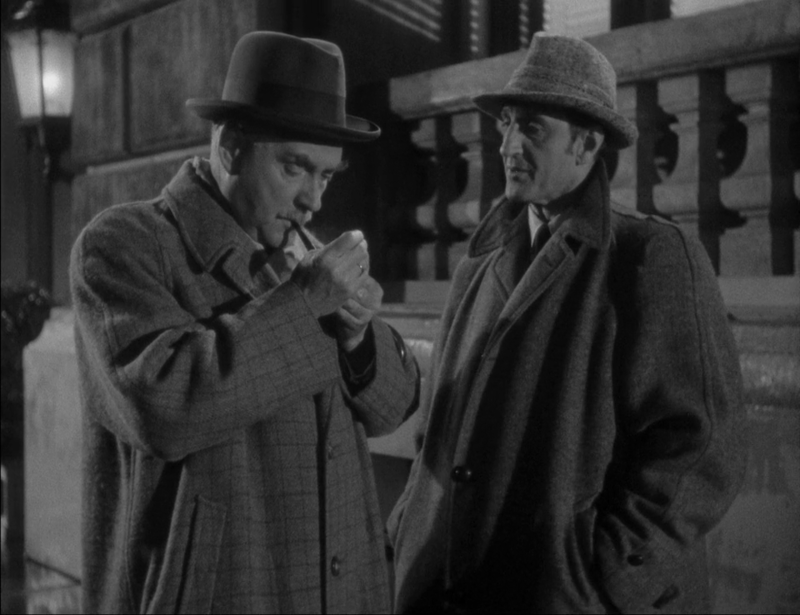 There are several other Holmes-related films in the Archive, but all are either too poor or too short, usually both. Of historical interest is, for example, a series of silent shorts. In addition to this one and Terror by Night, two of the fourteen Rathbone/Bruce films are available for download at the Internet Archive, and in the intervening years since my first post I have written about both. 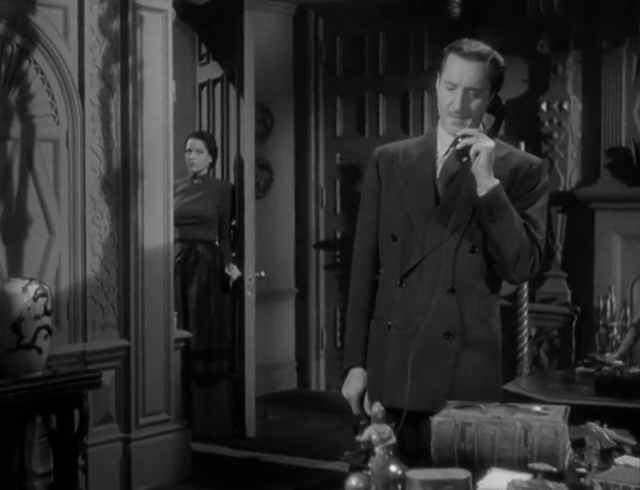 They are Sherlock Holmes and the Secret Weapon (1943) and The Woman in Green (1945). This film is best enjoyed whenever you are in the mood for some good, classic, Holmes. Few are better than Rathbone, and add to that solid scenography, dialogue and directing. I still think that Terror by Night is the best Holmes film at the Internet Archive, but when you have seen that, you will want more, and Dressed to Kill is not a bad next selection. Madame Beudet is smiling. She is smiling, even laughing, at her own daydreams about what might befall her husband, whom she does not love. He, hearing her laughter, pulls his own favourite practical joke, putting an empty gun to his head and squeezing the trigger. 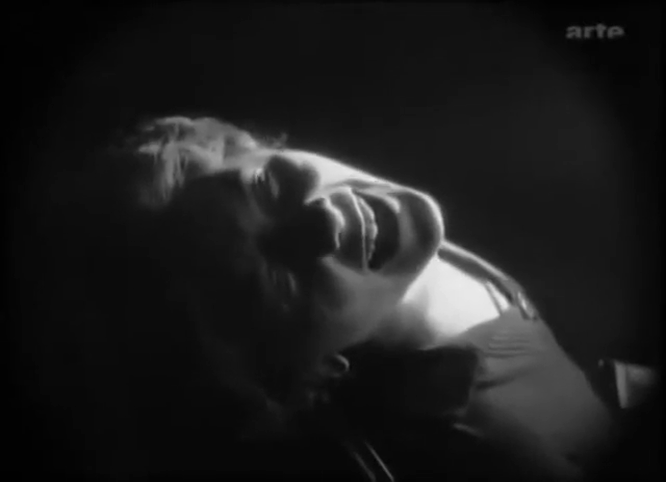 This is one of the key scenes in The Smiling Madame Beudet (French: La souriante Madame Beudet), a strong and very well-made silent drama, which qualifies for my own top ten or fifteen list of silent movies. Madame Beudet is smiling, perhaps, as a way of dealing with the misery of her life. The film is a brilliant and finely nuanced portrait of a woman, but those who claim that it was the first truly feministic film should take a look at the ten years older Ingeborg Holm. 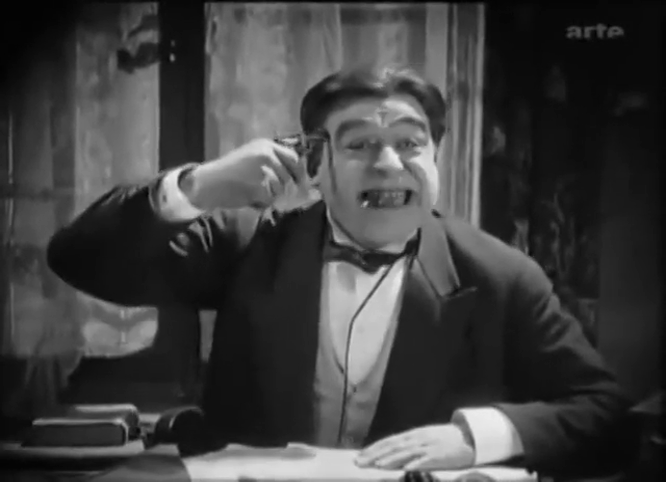 The Internet Archive copy I link to here has both French and German intertitles, as well as English subtitles, so it is essentially trilingual – one of the advantages of silent cinema. In case you know either French or German and would like to be rid of the subtitles, a copy of comparable quality but without subtitles is also downloadable. The Smiling Madame Beudet was based on a play, the original French text of which is also available at the Internet Archive. This film is best enjoyed for its exquisite imagery and visual language. 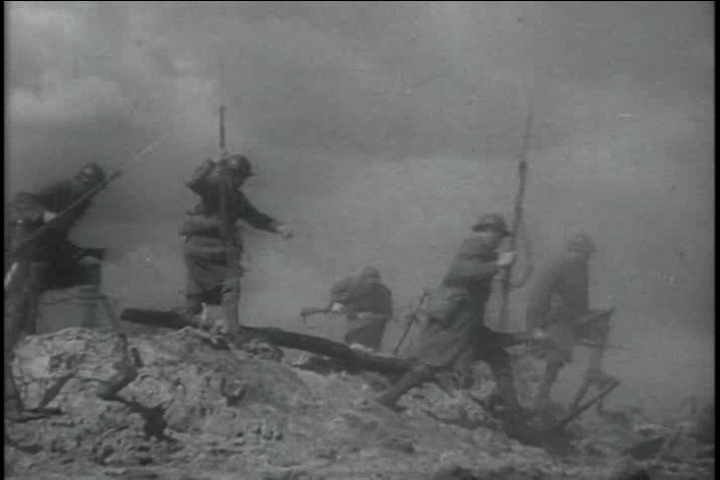 Director Germaine Dulac makes use of many impressionistic techniques, providing both effect and subtlety.